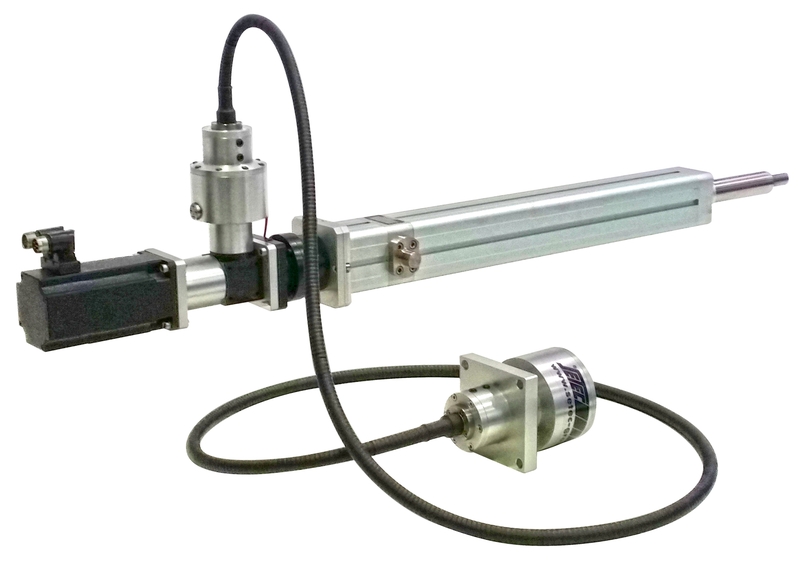 Electromast actuator application, a purely electromechanical telescopic cylinder with three sliding elements in carbon fibre. Great care and attention in manufacturING, together with innovative design solutions, make the actuators designed and developed by the Setec group an ideal solution for several marine applications. 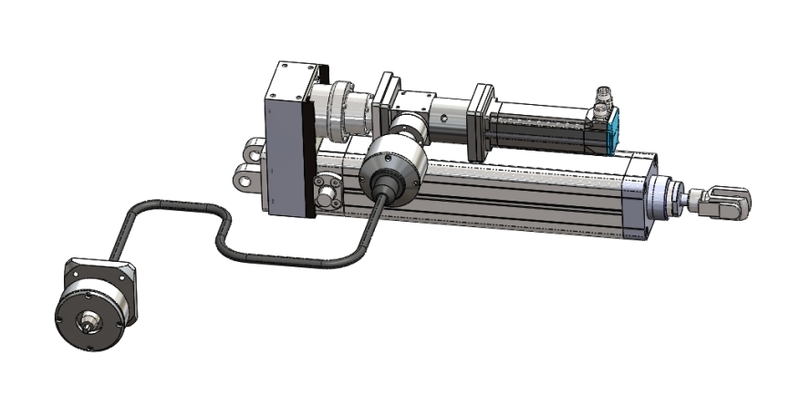 Setec Group has been designing, developing and producing for more than 40 years of wide range of industrial electromechanical linear actuators for all industrial sectors. 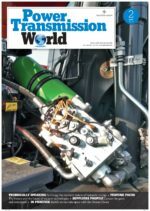 Many thousands of standard and special actuators have been produced and installed in almost all kind of applications, including the marine sector. Such is the case of the Electromast series of telescopic mechanical linear actuators and the servoactuator Seard series with added remote drive system; both patented. These components represent the natural evolution towards the high added value pleasure vessel sector, which is rapidly being transformed by the use of new electromechanical and electronic technologies. This guarantees not only greater energy efficiency and very compact dimensions, but also quiet operation and less environmental impact. The same great care and attention that goes into making the motion components for the automation market is put in place to get new products that are then an ideal solution for marine applications. 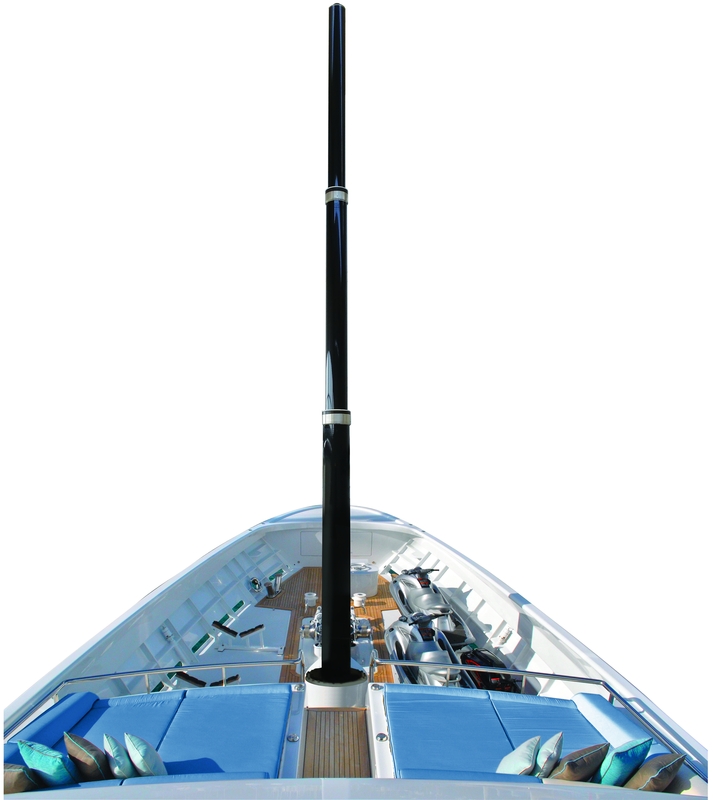 In detail, the Electromast actuator is a purely electromechanical telescopic cylinder with three sliding elements in carbon fibre (activated by transmission elements in special light treated alloy) designed to hoist navigation and at-anchor lights at the bow of ships longer than 50 m.
This innovative range offers several distinct and different advantages. It is designed to be mechanically non-reversible, that is, once it is in any position, it needs no electric power (so it only consumes a little energy when it is activated), and inside it is completely hollow. As a result of it the electric cables powering the lights can pass through the mast and so are completely protected and not on view, and are gathered up by a device at the foot of the mast. Quiet operation and aesthetics are further strong points. The mechanical activation system inside is bi-directional, it activates positively in both senses: extending the mast and retracting it. So, if there are deposits of salt that tend to block retraction, the internal transmission pulls the three sliding elements towards the inside, overcoming the obstacle. Installation costs are also reduced. The actuator has an upper flange close to where the sliding elements emerge, which allows it to be fixed rigidly to the structure of the vessel. Finally, as mentioned, since there is no oil under pressure there are no risks of leaks or fires due to pipe breakage. Seard series electromechanical actuator with remote control. Created for the controlled linear motion of systems for opening and closing doors and hatches, tender hoist extensions and helms (to mention only the main applications in the marine sector), the Seard actuator is also a purely electromechanical cylinder. This means it shares with the Electromast series described above certain features such as the absence of hydraulic activation, compactness, quiet operation, low environmental impact, greater safety and high energy efficiency. Installation is very rapid for this series too and involves no particular additional costs: the actuator has just electric cables that must be connected to the control panel, nothing more. The standard range offers both axial and parallel configurations. In both cases there are four sizes available (80, 80 HL, 100 HL and 100 XL), with maximum power, according to the model choosen, from a minimum of 12,500N to a maximum of 55,560 N. The top speed is 300 mm/s with standard ranges from 100 to 700 mm. Parallel configuration of Seard series remote control electromechanical actuator. Coaxial configuration of Seard series remote control electromechanical actuator.